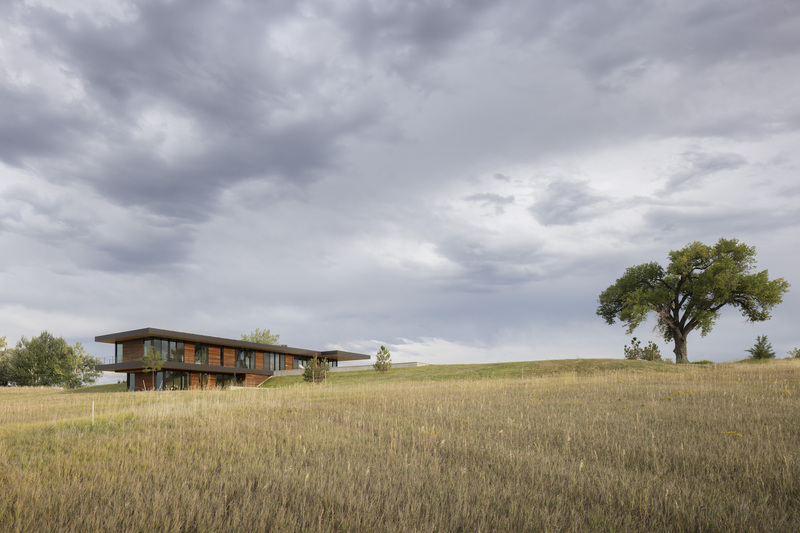 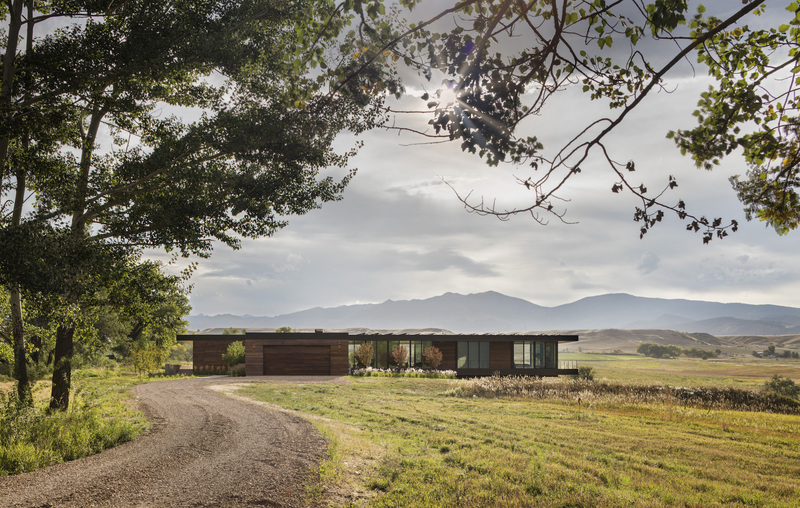 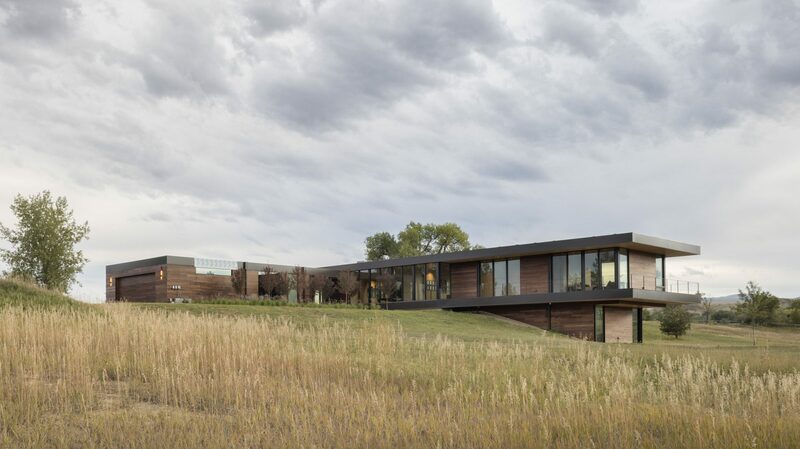 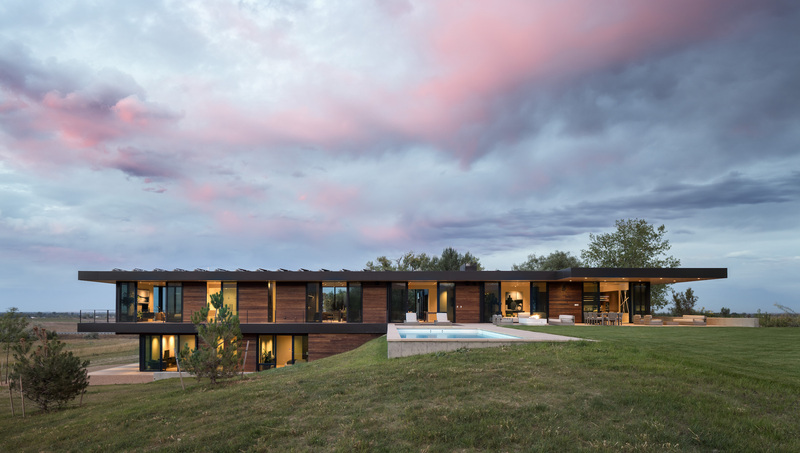 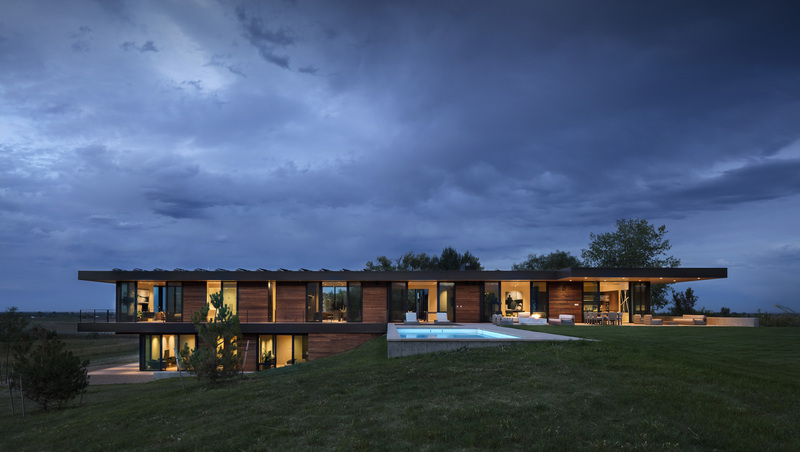 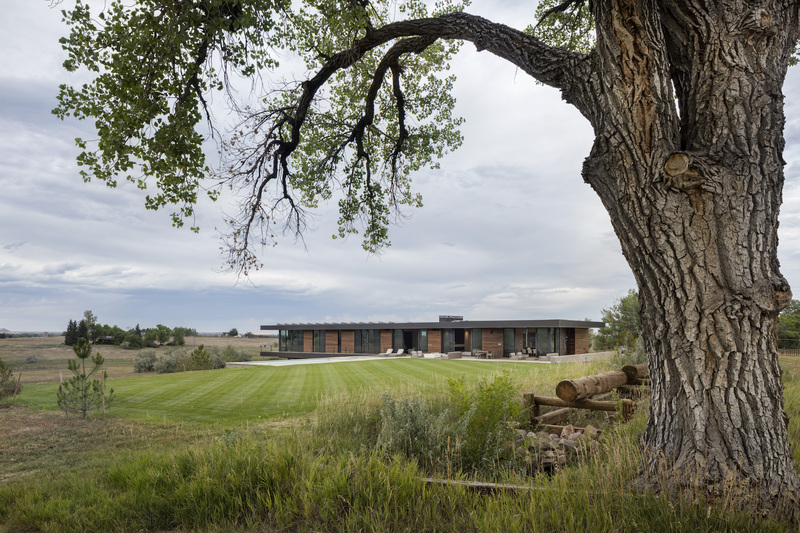 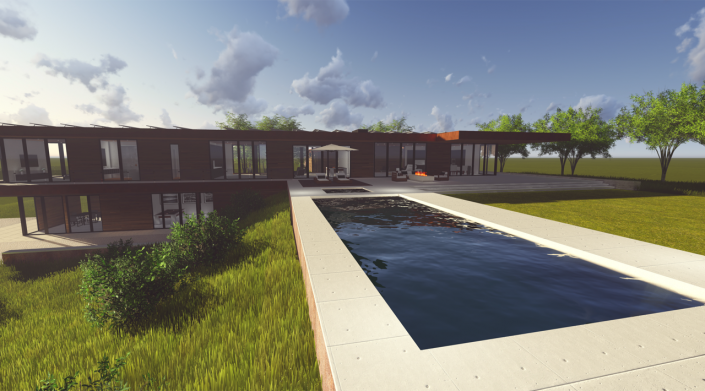 Description: Situated on a 40 acre property north of Boulder, this linearly designed modern home fits naturally in to the hillside offering sweeping views of the Front Range. 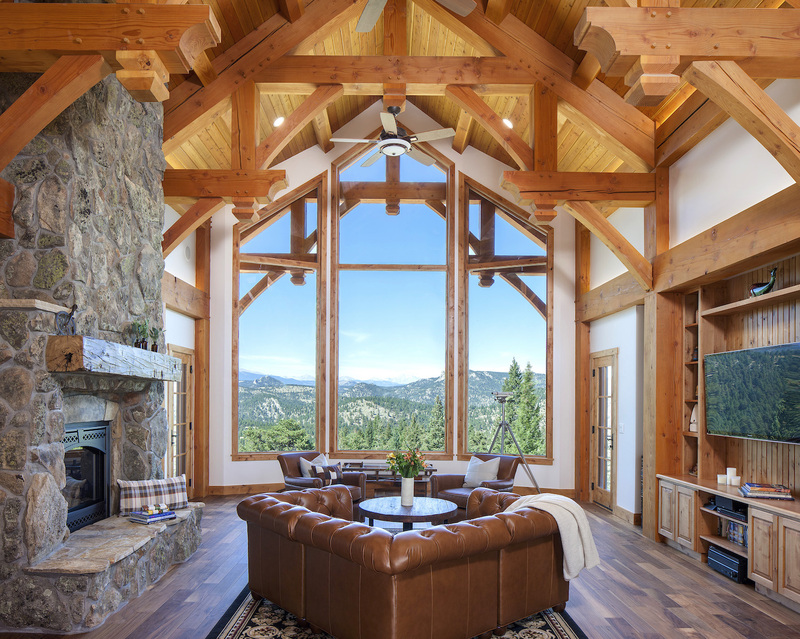 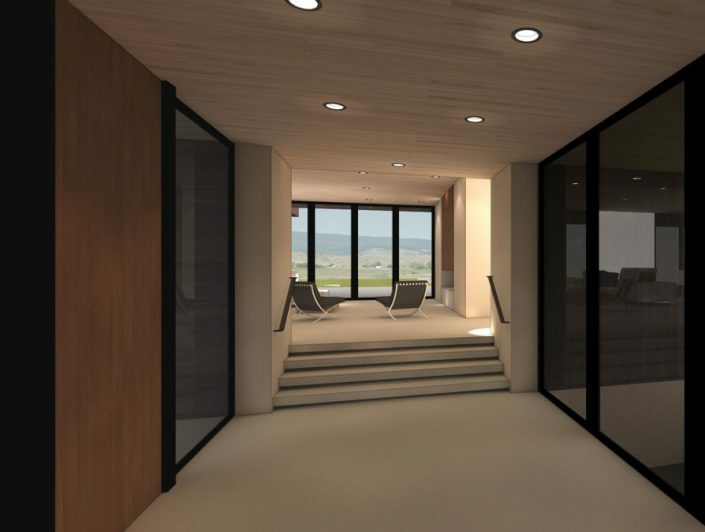 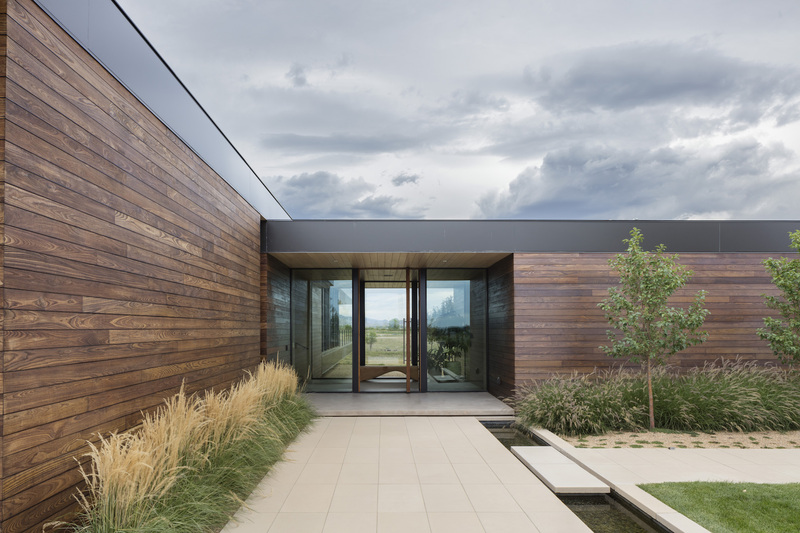 A seamless indoor/outdoor living experience flows through each room with the use of floor-to-ceiling windows, deep roof overhangs, and sliding pocket doors. 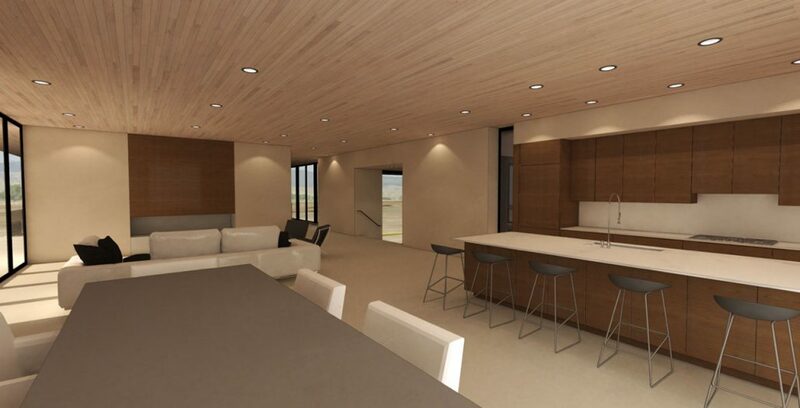 From the smooth clay interior wall finish to the floating toilet bowls, modern minimalistic details are carefully executed throughout the home to achieve functionality that’s clean and simple. 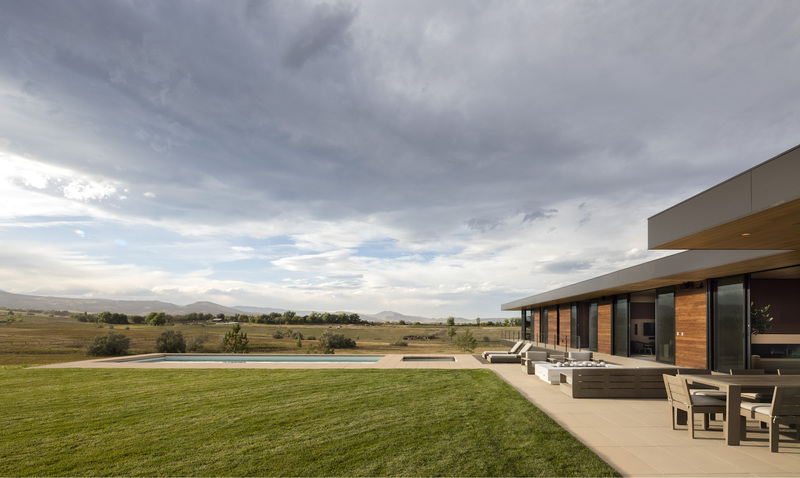 This minimalist house beautifully illustrates the “less is more” mentality of minimalist architecture.